The Mulberry Tree at Reeves Point, Kangaroo Island is thought to be the last remaining tree of the earliest plantation of European plants in South Australia. It was planted in 1836 or '37. 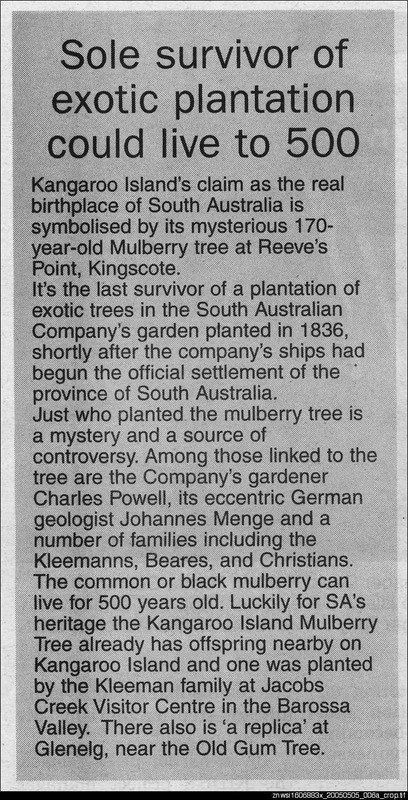 This newspaper article details the history of the Mulberry Tree.